Starting from today I will now be taking a kimono class every month. Of course I hope to tell everyone what I am taught. But in my class it's mostly all Japanese. So I will have to figure out the English translation. I'll do my best! 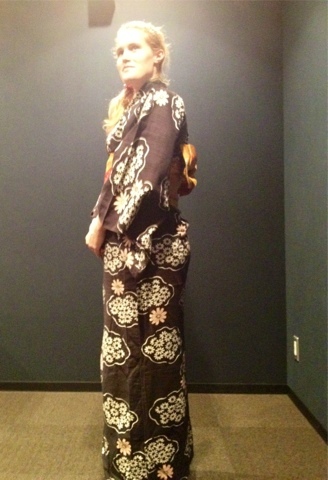 Today I got to try on the summer kimono, or yukata. 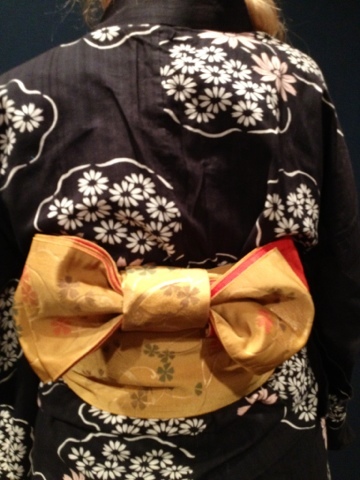 It's difficult to put on as well but not as difficult as a kimono. I did my own bow (obi) too!